This Day in Dodgers History: In 1919 Brooklynites attend the very first major league game played on a Sunday in Brooklyn due to a new law passed by the NY Legislature called the "Sunday Baseball Bill." The Brooklyn Dodgers defeated the Boston Braves at Ebbets Field, 6-2. In 1966 Willie Mays hits his 512nd career home run off of Dodgers hurler Claude Osteen at Candlestick Park. The homer breaks the NL All-Time home run mark held by Mel Ott. In 1976 it is declared Rick Monday Day in Illinois. The then Cubs outfielder is presented with the flag he saved from an on-field burning attempt at Dodger Stadium. 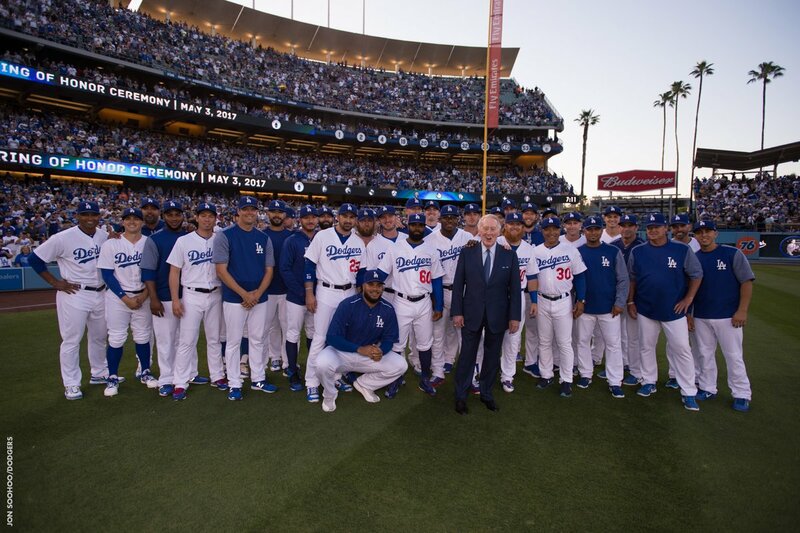 In 2009 the Dodgers win their 11th straight game to start the season -- breaking a NL record. In 2012 the Dodgers signed free agent outfield Bobby Abreu to a one-year $9 million contract. You learn something new everyday. 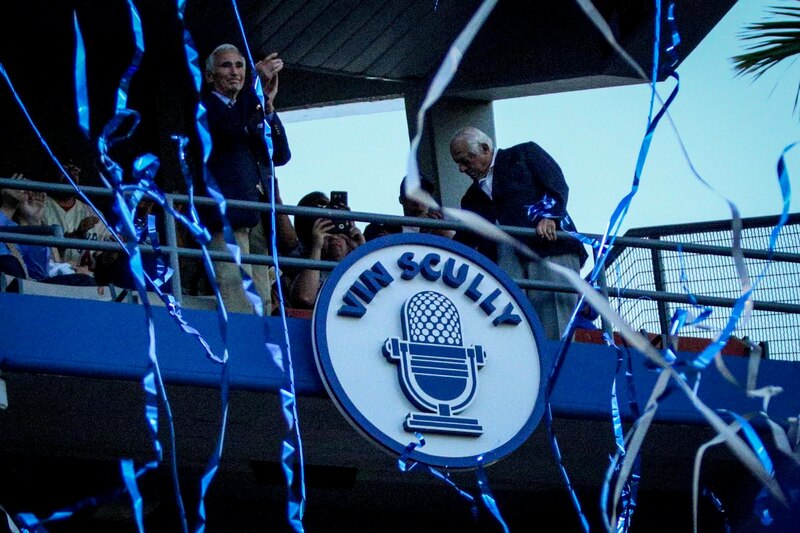 Per Mark Langill at Dodger Insider; "The house that Vin built." Apparently, bringing Vin to Los Angeles from Brooklyn helped secure an exclusive signage deal with the Union Oil Company. Andy also adds that Adrian is dealing with an herniated disk, via another tweet. Per Ken Gurnick at MLB.com; "Hill ready to test finger in injury rehab start." I had wondered if Dave Roberts would comment on this. 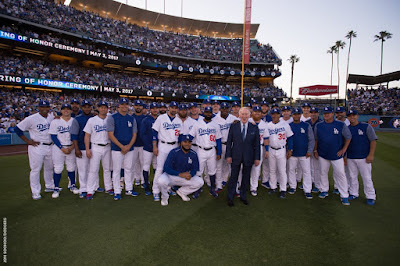 Per Matthew Moreno at Dodger Blue; "Dave Roberts Calls Red Sox Fans’ Treatment Of Orioles’ Adam Jones ‘Completely Unacceptable’"
“I applaud him for bringing it to light again. I think change occurs when things are talked about and brought to the table,” concluded Roberts.